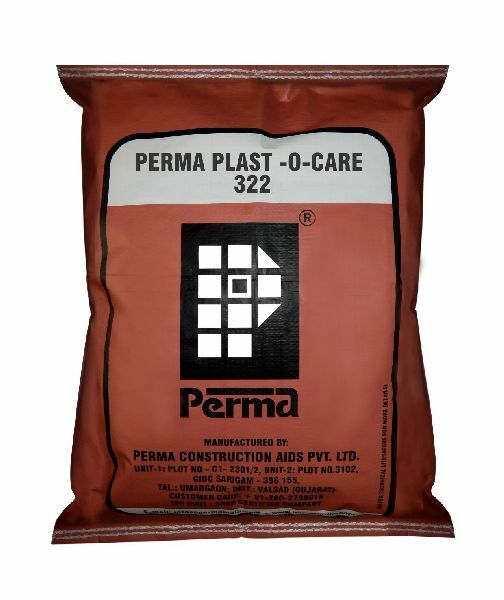 322 - Perma Plast - O - Care is basically a skim-coat plaster that is offered in the powder form. It is characterized by the white color and is based on white cement, plus some fillers and polymers. It is absolutely resistant to water. We have carved a niche in the market as the prolific Manufacturers, Exporters, and Suppliers of Perma Plast - O - Care from Mumbai, India. Primary Use : For Creation of smooth even surface for application of paint to the walls and ceiling. It can be used on plasters, RCC or brick or block work directly. Packing : Perma Plast - O - Care is available in 20kg & 40kg HDPE Packing.